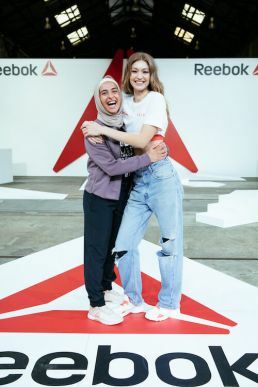 Global fitness leader Reebok and Gigi Hadid have brought the brands largest women’s campaign #BeMoreHuman to Sydney, to empower females across Australia to create positive change for themselves and the world around them. Reebok hosted a two-part event at Carriageworks on Friday 16th November, to celebrate women who are kicking the door down to let change in. 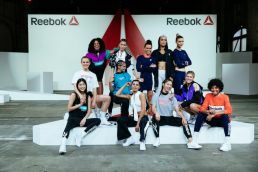 The event began with invited guests experiencing an immersive women’s event revealing an Australian-first glimpse at Reebok’s latest collection and campaign messaging. To close the event, guests sat down to an intimate brunch and discussion moderated by Jules Sebastian and featuring Gigi Hadid, Amrita Hepi, Amna Karra-Hassan and Kelly Cartwright, who each shared their perspectives and stories on overcoming the physical, mental and social barriers that stand in their way. Gigi also launched her exclusive Reebok collaboration. Reebok is not only revisiting its heritage of being a women’s-focused brand, but more importantly, celebrating strong women with powerful voices, who are inspiring others to action – at a time when action is needed! Featured in the global campaign are artists and athletes including Gal Gadot, Danai Gurira, Gigi Hadid, Nathalie Emmanuel and local Athletes Tia Clair Toomey & Kelly Cartwright, who each tell their own personal story of overcoming barriers to become their best self. They are featured alongside women who have built organizations that are empowering females and making history, including Reese Scott, Founder of Women’s World of Boxing; Shannon Kim Wagner, Founder of the Women’s Strength Coalition; Jenny Gaither, Founder and CEO of Movement Foundation; and Yelda Ali, Founder of Camel Assembly.